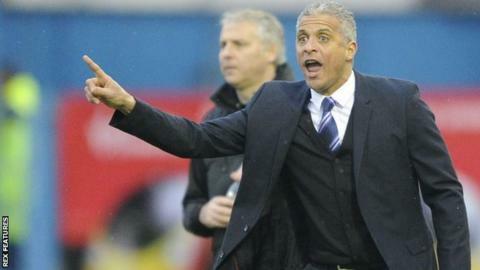 Carlisle United manager Keith Curle has signed a contract extension at Brunton Park until the summer of 2018. The 52-year-old agreed a deal before Christmas, but the club's flood problems in December saw a delay on Curle putting pen to paper. "We're pleased that it's all put to bed," chairman Andrew Jenkins told the club website. "We've always had a good relationship with Keith and we were always in agreement on the basics." Curle was brought in to replace Graham Kavanagh in September 2014 following Carlisle's relegation from League One and has been credited by the chairman for "transforming" the club. "We were struggling at the time he joined us but he's introduced working practices in a way I've never seen the club operate before," Jenkins added. "The planning and preparation that goes into matches, assessments and players is different to what I've seen from other management teams." The Cumbrians currently sit 12th in League Two, six points below the play-off places but with games in hand over those above them. "When I came into the football club I came with the ambition of being here on a long-term journey," former Manchester City defender Curle said. "I think this club is well below where it needs to be, and where it can be, and I'm very excited by the prospect of being a part of taking this football club on a journey."